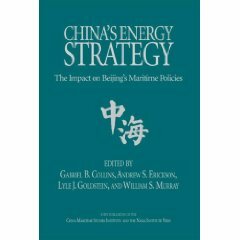 Andrew S. Erickson, “China’s Naval Modernisation, Strategies, and Capabilities,” in Jo Inge Bekkevold and Geoffrey Till, eds., International Order at Sea: How it is challenged. How it is maintained. (New York: Palgrave Macmillan, 2016), 63-92. China is striving to reclaim its historical role as the pre-eminent power in East Asia, with considerable influence beyond. Critical to its trajectory will be its maritime development, which has typically waxed and waned with the nation’s fortunes. Many continue to see China as a continental power, and this was indeed a fitting characterization of the decaying empire of the late Qing, embattled Republican China, and the People’s Republic in the throes of revolution, Maoist excesses, and anti-Soviet struggle. Starting with Deng’s reforms, however, China turned partially to the seas, a process that has been deepened, diversified, and sharpened in the Jiang, Hu, and Xi eras. Beijing’s defense priorities, increasing resources for defense as the economy surged together with an improving defense industrial base and R&D infrastructure gradually yielded a modern navy. 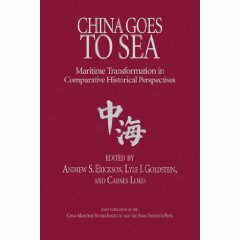 This chapter will survey the remarkable course of China’s naval and larger maritime development in order to elucidate its key dynamics and offer insights into its future prospects and possible consequences for order at sea in East Asia. Under Deng Xiaoping, China underwent stabilization, reform and institutionalization, and economic opening and marketization. Maoist China’s armed forces had been bloated, poorly-led, poorly-trained, lacking modern, well-maintained equipment, and utterly without advanced doctrine, concepts of operations, tactics and logistic support. China’s 1979 Vietnam incursion demonstrated the consequences of these deficiencies. Deng had to establish military modernization priorities in the face of a dysfunctional PLA and a broken economy together with a largely disrupted obsolescent defense industrial base and R&D infrastructure. 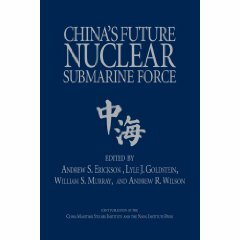 Still, there were few indications that Beijing perceived the need for much more than its existing coastal defense navy, or that the People’s Liberation Army Navy (PLAN) would receive precedence. Navies are expensive to build, maintain, and train. Obsolescent though its ships and land-based aircraft were, the PLAN’s condition was no worse than that of the other PLA’s other services and branch. After Lin Biao’s fall in 1971, the navy, like the rest of the PLA, faced a strategic and budgetary crisis as rapprochement with the U.S. deprived it of strategic rationale. This book examines how international order at sea is challenged, changed and maintained. The book surveys challenges to the international order at sea in the Asia-Pacific, the Indian Ocean Region, the Atlantic Ocean and the Arctic Ocean. 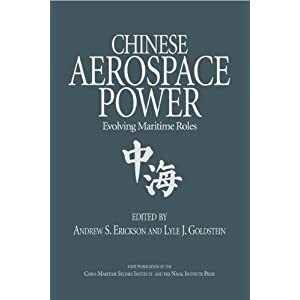 It explores the interaction between and cooperation among leading, emerging and smaller naval powers, both naval and coastguard responses, required for the maintenance of good order at sea. Six broad and interlinked issues are identified that will influence the future international order at sea: the balance between the maritime and the continental domains; the balance between great power rivalry and cooperation; the contest between access and denial; the operational balance between preparing; building and training for warfighting as opposed to operations other than war; how to manage ‘disorder’ security challenges that very often transcends territorial waters and national boundaries, and finally, the balance between safeguarding national interests and contributing to collective efforts preserving the international order at sea. —RADM Michael McDevitt, USN (Ret.) Senior Fellow, Center for Naval Analyses, U.S.
Jo Inge Bekkevold is Head of the Centre for Asian Security Studies at the Norwegian Institute for Defence Studies. With Robert S. Ross, he recently edited China in the Era of Xi Jinping: Domestic and Foreign Policy Challenges, 2016. Bekkevold is a former Norwegian diplomat who served in Hanoi and Beijing. Geoffrey Till is Professor Emeritus of Maritime Studies and Chairman of Corbett Centre for Maritime Policy Studies at King’s College London, UK. Since 2009 he has also been a Visiting Professor at the Rajaratnam School of International Studies, Singapore. He is the author of Seapower: A Guide for the 21st Century, 2013.